Patrick J. Clark was an undergraduate at Baylor University in Waco, TX and took his post-graduate work at Texas State Technical College, also in Waco, before receiving his PhD from the Swansea University, Wales. 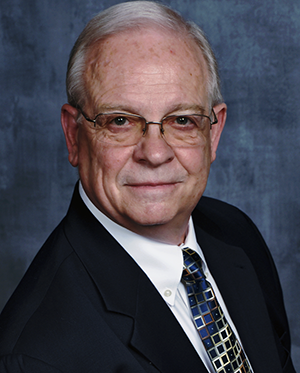 For over three decades, he has served in various capacities related to lasers: Laser Safety Officer and Program Director at the University of North Carolina Hospitals, Chapel Hill, NC; University of Texas Southwestern Medical Center at Dallas, TX; and Program Administrator of a minimally invasive abdominal endoscopic laser training program at Grandview Surgery Center, Camp Hill, PA. He has served as Managing Partner and Technology Officer (EpiCentre) and Vice- President of Physician Education and Privileging and Technology Development Officer for a group of 623 physicians over 38 states (Medical Alliance, Inc.). He also participates in the development of energy-based applications as consultant, educator, and development board member for Candela, Cutera, Cynosure, Palomar, LaserScope, DEKA, Sciton, Coherent, Sensus, ASA, and ICN Pharmaceuticals. His academic contributions include 23 clinical papers, The Technical Guide to Medical Lasers and Safety, and 543 speaking engagements. Doctor Clark is a founding member of the Board of Laser Safety’s Certified Medical Laser Safety Officer program (CMLSO). He often advises institutions on the available devices and techniques that would be appropriate for the patient/client needs.